I was happy with my appointment waited a little long but my phone kept me occupied. Staff was pleasantly kind, wasvery happy with my treatment the NP was kind and knowledgeable about my issue and Dr. Cohen made an appearance and shared a kind smile. I was happy with my appointment waited a little long but my phone kept me occupied. Staff was pleasantly kind, was very happy with my treatment the NP was kind andknowledgeable about my issue and Dr. Cohen made an appearance and shared a kind smile. The place was fine enough. Front end got me signed in on little scraps of paper and the waiting room hada real "clinic" feel. They honored my online appointment and the front end was very nice and capable. The PA I saw was great. She took realy good care of me. The place was fine enough. Front end got me signed in on little scraps of paper and the waiting room had a real "clinic" feel. They honored my online appointment andthe front end was very nice and capable. The PA I saw was great. She took realy good care of me. Serving residents of Long Island and New York City, Dr. David Cohen provides premiere dermatological care to patients seeking a helpful, compassionate, and highly trained physician. Dr. Cohen delivers a broad range of services: MEDICAL - EXIMER LASER for treatment of Psoriasis, Vitiligo, and Eczema, acne, rashes, allergy, wound care, and annual skin screenings SURGICAL - Biopsies and removal of growths (moles, cysts, warts, etc) COSMETIC - LASER for treatment of wrinkles, removal of excess hair, scars, varicose veins and nail fungus, chemical peels, microdermabrasion, Botox, and fillers As a clinical professor of dermatology at both The Mount Sinai School of Medicine and the Touro School of Medicine, Dr. Cohen continuously educates himself about the latest technological advances in the field. He is also an active member of the American Academy of Dermatology, the American Society of Dermatologic Surgery, the Society for Investigative Dermatology, the International Society for Topical Dermatology, and the New York State Medical Society. 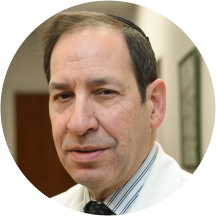 Dr. Cohen is a friendly, upbeat doctor who believes in providing his patients with the most thorough care available. He treats each patient as an individual, creating a treatment plan that works for them. Excellent Doctors, very thorough! Great office staff. What a great visit! I went for an annual check up and the process was simple and very respectful. The wait time was grueling but the appointment was great none the less! It was quick and very helpful. Actually met with another doctor that was there. I did make an appointment to meet with Dr. Cohen. I was automatically seen by doctor Brittany giammalvo which turned out to be great nevertheless. She was very pleasant, informative and I’m excitedto see progress in the future. I highly recommend her. I do think the office should’ve informed me that I wouldn’t be meeting with dr Cohen. Dr Cohen was cold and dismissive. His PA did The examination, then proceeded to have a conversation with Dr. Cohen in front of me, without talking to me! Completely unprofessional. Nothing was explained regarding diagnoses or medications. I would NEVER recommend this medical team. I waited in the office for over an hour for a 5 minute appointment. The waiting room also consisted of multiple people having their pets with them. Which is unsanitary for a doctor’s office. They treated me rushed for an abnormal mole, the PA seemed incompetent and uncomfortable making decisions. They were supposed to remove two moles I saw today she only removed one, I called to speak with someone today and no one calledme back. Not particularly through or reassuring. The doctor looked briefly and told her to biopsy both moles, but she only did one. I am a ER RN and not a typical health illiterate and feel unsettled by the whole experience. The ladies at the front desk were nice and professional. I waited for a while, even with an appointment, but it was my first time so I believe with paper, etc may have increase my wait time. Hoping my next visitI won't wait too long. The doctor was nice, attentive and she really paid attention to my concerns. Will be coming back here. He only saw my son briefly, and his PA Michelle did most of the work. She was friendly and prifessional, but we are having problems with the prescriptions going through. nice doctor. did not rush. remembers me. It was informative and pleasant. Fromt desk is impatient and rude.. had a rash for SIX MONTHS and kept being treated like i was taking up their valuable time and was rushed out with a cream to apply on TWO seperate occasions!! even afyer i toldthem i was worried it was more than just an alergy as it was on one breast alone. I feel so discouraged after coming here. As soon as I sat down I was called into the back! All of the medical assistants and the ladies at the front counter are always so helpful and pleasant! A little bit of a weight but nothing major to complain about really. I saw the nurse practitioner and not the doctor. Excellent bedside manner for my teen. Social. Relatable and patient. Friendly doctor and answer your questions. Good explanation about your diagnosis. I WAS pleasantely surprised. A bit crowed but they moved people very quickly and the staff was very friendly. I went told them my issue they prescribed me the exact same things I told them didn’t work. Waste of my time and top it off they prescribed medication my insurance doesn’t cover. Don’t bother. Very clean place and things moved pretty fast. Only complaint I have was when I called the receptionist told me that there was nothing available until the following WEEK but online there were appointments every fifteen minutes available! Ofcourse I booked online and went despite what the bothered receptionist told me. I'd still go back and reccomend. The P.A. was wonderful! Visit was ok. No complain. Well my daughter ddidmt meet with the doctor because he was not there. But the person she met with was excellent i will be going back every two weeks. Thank you for your help. Great services ! The PA did most of the visit. She was very nice and seemed to listen to what I needed. Dr. Cohen was in the room less than 2 minutes but seemed to take into account all my symptoms and provide a coarse of treatment. Waiting room was packed. Waited over an hour for my appointment. Staff was curt and rude. I selected David Cohen after seeing his reviews, but honestly I wouldn't return to Dr. Cohen. I dealt with his PA and Dr. Cohen only entered the room for the final 3mins. It amazes me how Doctors can charge ridiculous consultationfees but never take the time to consult with a patient. Nothing against the PA, I am old-school where if I am seeing a specialist, I would prefer to consult with the doctor rather than a novice PA.